Lafayette, one of the great Colorado cities that offers a true small town feeling. With a population of only about 25,000 people, Lafayette is a great place to raise a family and know your neighbor. But let’s not discount your city as something to be looked over. Lafayette offers all the culture and recreation of a big city, just in a smaller package. 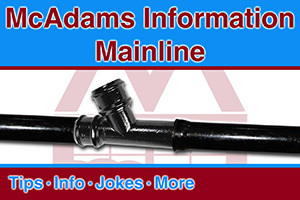 McAdams Plumbing is your number one choice for plumbing repair in Lafayette. Allow our clean and courteous servicemen to take care of your toilet or drain back up, so you can get back to the more important things in life. Don’t see what you need on the list? No worries. Just give us a call. More than likely we have you covered. If for some reason we can’t fix it, we’ll get you to a trustworthy company that can. Our goal is to make sure your happy and taken care of. Leaks can happen at any time, in almost any place in a home. 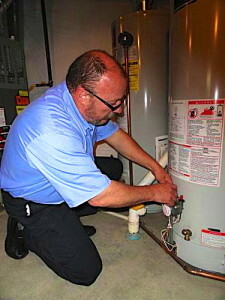 Make sure you get a leak taken care of before it becomes worse. A small leak can turn into a disaster overnight. 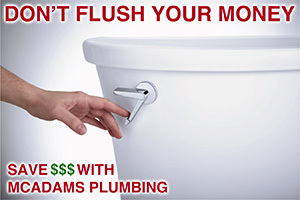 McAdams Plumbing will hunt your leak down to the source and make sure the cause is fixed properly. We’re trained to do this, so let us take the guesswork out of it for you. The best way to avoid water damage is to prevent the leak altogether. McAdams Plumbing is a preferred installer of the WaterCop Automatic Water Shut-Off Valve, which is built just for this reason. Wireless sensors are placed around your home and when they come in contact with water they send a signal to the WaterCop unit. The WaterCop unit is placed on your incoming water line and when it is activated it cuts all the water off to your home. This prevents any more water from coming into your home. Great idea right?! 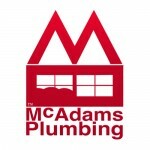 We hope you found what you were looking for with McAdams Plumbing. If there’s anything we can do for you, please don’t hesitate to call; 303-465-1900.